Get behind the wheel of a vehicle perfect for every type of road trip, by purchasing a new Fiat Qubo right here at Motorparks. Space is one of the most appealing factors of the Fiat Qubo, with plenty of leg room in the car to comfortably seat five adults and a boot capacity that measures a huge 2,500 litres. Despite all of this space in the interior, the new Fiat Qubo is also very practical on the road - you only need a 10.55-metre turning circle to manoeuvre the car 180 degrees. Of course, the radically-styled exterior body will also get you noticed whether you are taking the Fiat Qubo on a city drive or for a fun day out to the beach. 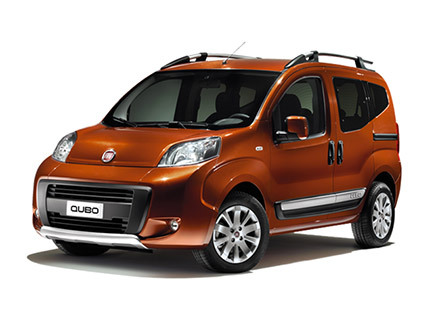 Make an enquiry about any of the Fiat Qubo cars you see below online today. You can also discover the Qubo at our immaculate Fiat dealers - there’s Fiat Oldham Motors, Preston Motor Park and Bolton Motor Park for you to choose from.